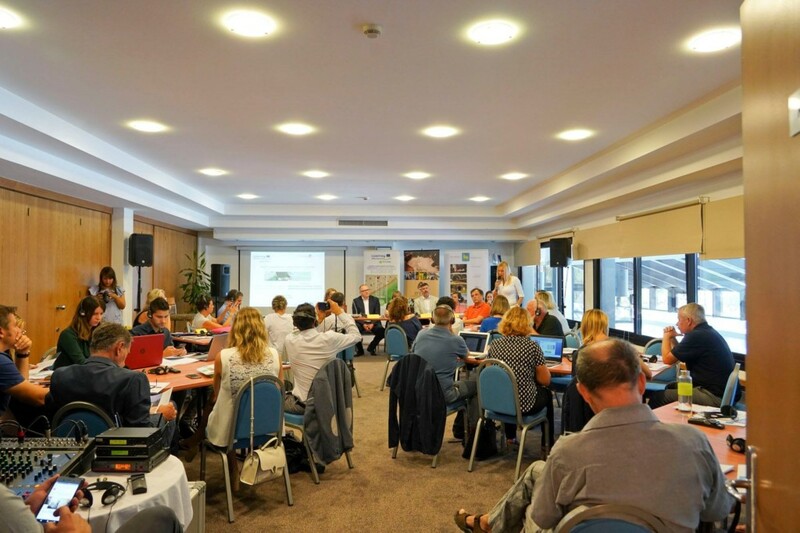 Destination managers, tourism experts and policy makers from Istria took part in MITOMED+‘s 9th project meeting on 4-5 September in Poreč, Croatia. The meeting was opened by a local political representative, Nada Prodan Mraković, Head of the Administrative Department for Tourism. She presented the territorie’s work on tourism and stressed the importance of data for protecting coastal areas and ensuring the sustainability of Maritime and Coastal tourism. Following this opening speech, participants took part in roundtable discussions on “Data management for the sustainable development of tourism”, and “Green Beaches”. MITOMED+ partners involved in the implementation of these outputs explained the tools created and the results collected to date. Several local actors, such as Istrian experts on the inventory of accommodation providers, and beaches managers, shared their experience with tourism stakeholders and stressed the importance of data collection for political and economic decisions. The panel presented the project’s 12 Green Beaches. The benefits of the Green Beaches implementation were also highlighted thought the results obtained from a survey carried out after the implementation of the services and facilities. The remainder of the first day was dedicated to the project’s internal meeting during which the latest activities were discussed, such as the implementation/evaluation of the first pilot on data collection through the Online common open platform, and the forthcoming evaluation of the second pilot on the implementation of Green Beaches. To ensure the transfer of the outcomes to other tourist destinations, the partners will now have to involve external municipalities and decision makers, ensuring the durability of their work. To do so, NECSTouR, together with Turismo Andaluz, presented the first draft of the transferability manual, based on the results of the Málaga dissemination event, held on 5-6 April 2018. The manual will also include a wide range of good practices, with information from the partnership’s and other European tourist destinations. The CPMR – Intermediterranean Commission presented the upcoming capitalisation activities, starting with the International and Capitalisation Workshop (Towards sustainable maritime and coastal tourism communities), taking place on 8 November in the European Parliament. This workshop will be held back-to-back with the European Tourism Day, taking place on 7 November in Brussels. The International Conference coordinated by NECSTouR will offer the opportunity to present the results achieved to date by MITOMED’s to a variety of actors and destinations. The Capitalisation Conference, coordinated by the CPMR-IMC, will bring together a more political panel and audience to prepare the transfer of MITOMED+ Management Model for a wider decision-making process. A of the draft management model on M&C tourism, which is one of the outcomes to be prepared by the CPMR-IMC in the frame of the project’s capitalisation phase, will be shared among participants taking part in the Capitalisation Workshop in Brussels. 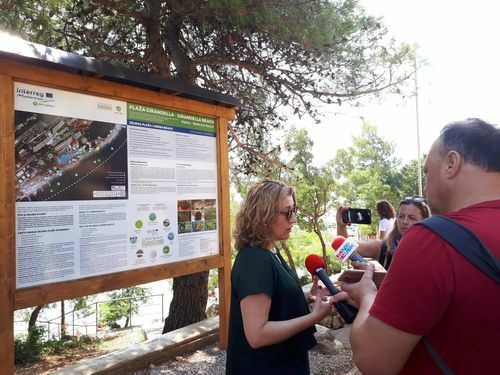 This two-day meeting finished with a field visit to Garbatella Green Beach, located in Rabac. This public beach, which is one of the project’s pilot sites holding the Green Beach label, was equipped with excellent facilities (recyclable bins; eco-friendly shower; solar bench; disabled accessibility; informative board on the Green Beach model and on the state of the water; etc. ).